It's been the kind of week that gives me pause. First it was the ants, the thousands of ants that invaded my kitchen. Then, on Tuesday, I discovered an error with my time sheet that neither I, nor three other people found. It resulted in me not getting an expense check for this past week. That means that one bill I was hoping to pay, I couldn't. I needed part of the money from the expense check to pay it. My poor depleted savings account can't stand any more hits. 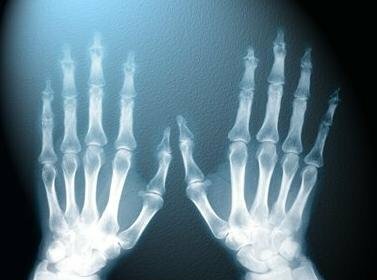 The insurance company has denied, for a second time, to pay anything additional on the x-rays the doctor ordered to determine if I have arthritis. The thing is, an x-ray really isn't going to tell you much. You need an MRI for that. But the insurance companies won't pay for an MRI if you haven't had the x-rays. So, we get the comprehensive x-rays, to be certain, and now they are telling me I didn't need those to determine if it's arthritis. So there's a $300 bill I have to pay. Because I didn't get an expense check, I don't have money for the Meloxicam. I took the last one on Wednesday night. I'll get more on Tuesday, when the next expense check is supposed to come. Hence, I have been dealing with pain all weekend. I suppose it's a good (?) way to see just how bad or good things are. And the assessment is thus: my right hand is 95% healed. I have some very minor pain in the middle finger and in the wrist. The middle finger on my left hand is 60% healed, while the wrist is 90% healed. But the knees are a huge problem. It's not the moving once I get up, it's the actual getting up. I realized last night, that if there ever was an emergency where I had to get out of bed fast, that's not going to happen. Nothing happens "fast" anymore. The phone rings. If I am not right by it, forget about me getting there before it goes to voice mail. I pause at the top of the stairs to go into the basement to do laundry. Going up doesn't seem so bad. Going down hurts. The ants are gone now so I can do a thorough clean-up of the kitchen. I want to bake. Dishes take twice as long because lifting things and holding them is problematic. Well meaning friends have said, "Maybe you need to see another doctor." Maybe, but what do I pay him with? A second opinion is going to cost me double my current co-pay. When you're living on the edge, you don't do things that extend you over the edge. What if this is what it's like for the rest of my life? I have learned to live with a lot and I'll learn to live with this. There are things I simply can't do, that I will need to find help for. For example, I bought a bed frame to raise the mattress and box springs up higher. I can't assemble it, nor can I move the mattress and box springs onto it even if I could assemble it. Will this affect my sewing and crafting? It makes me slower but, so far, I can still do that. Plus, I can still type, slower, but I know where all the keys are. And, I can still read. I'm trying to look at things from the perspective of the Black Knight. If you don't know that name, it's from Monty Python and the Holy Grail. If you've never seen it, be warned, it's slightly gory. The Black Knight says, after having both arms lopped off, "It's just a flesh wound." That could be considered ridiculously silly optimism, but I'm trying to see it as I can still go on in spite of some large obstacles. I have this book somewhere, In Praise of Slowness, where the author pleaded with readers to embrace the slowing down of life, the stopping not just to smell to roses but to admire them and the bed in which they grow. I'm trying to embrace that philosophy, too. It's not just slowing down, it's realigning priorities. But I have to admit that I am depressed. I took a lot for granted and when doing simple things like a load of dishes becomes a major event, I feel lost. I have adapted to other major changes, I will as well to this.